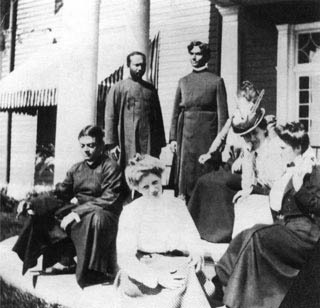 Reminiscences of Swami Vivekananda - Frank Parlato Jr.
Sri Ramakrishna did not allow everybody to practice the nondual aspect of meditation. What good is it to proclaim that you are one with the Absolute unless the universe has vanished from your consciousness? Sri Ramakrishna used to say: ‘You may say that there is no thorn, but put your hand out—the thorn will prick, and your hand will bleed.’ But with regard to Swamiji, Sri Ramakrishna said, ‘If Naren says that there is no thorn, there is no thorn; and if he puts out his hand no thorn would prick it, because he has experienced his unity with Brahman.” When Swamiji used to say, ‘I am He,’ he said so from his direct perception of the Absolute. His mind was not identified with his physical self. At the Baranagore Monastery we used to study scriptures and philosophy a lot. Swami Abhedananda particularly engaged himself in much study. Swamiji did too and also meditated many hours. We all practiced great austerities. 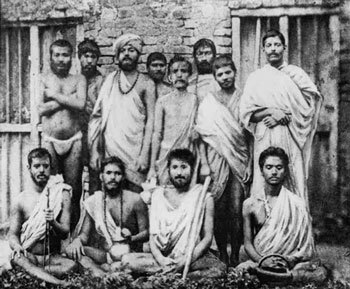 Sri Ramakrishna made us do it. Then we attained the bliss of liberation while living through the Master’s grace. Free as the air we have lived—depending on none, feeling no lack, without cravings, fearless! Yes, we know the joy of liberation! We used to wander from place to place, depending entirely on the Lord. We would beg for alms when we were very hungry. Wherever it got dark we made our home. What freedom! In one of his letters Swamiji wrote: ‘When I go for alms, I give people something in return.’ Give and take—that is the motto for a monk. Monks who live only for themselves and don’t even practice spiritual disciplines are impostors. We have seen Swamiji meditate the whole night, then early in the morning he would take his bath; and people did not know anything about his austerities. I never saw Swamiji sitting idly; he either studied or conversed on God or meditated. 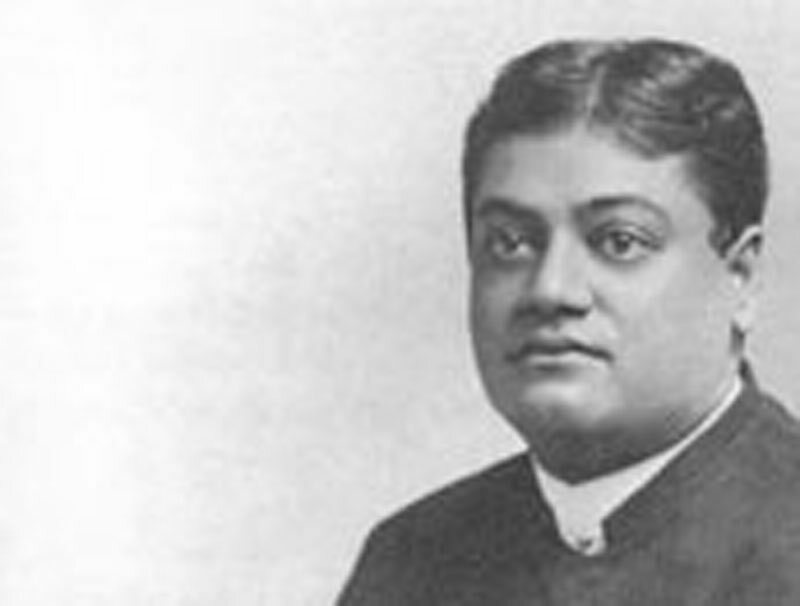 One day Swami Shivananda sang a devotional song to Sri Krishna. While listening, I began to weep and wentinto ecstasy, and Swamiji did too. ‘What is known as the nondual Brahman in the Upanishads is a ray of light from His Body.’ [A Vaishnava saying.] This is sectarianism. Swamiji used to make fun of this kind of attitude. Do you know why I was so successful in America? Swamiji spoke highly of me to some of the people there, and so naturally they had faith in me. When someone believes in you, you must live in such a way as to increase that person’s faith. Otherwise, disastrous results may follow. Whenever Swamiji used the pronoun ‘I,’ he was identified with Brahman and used the word from the nondualistic standpoint. Whenever Swamiji used the pronoun ‘I,’ he was referring the universal Self. When we say ‘I,’ we are identified with the little self—with the body, mind, and senses. Hence we should think of ourselves as servants and devotees of the Lord. The very utterance of the word ‘I’ would take Swamiji beyond body, mind, and senses. This was his normal state of consciousness. But this mood, ‘I am he,’ is not possible for us. So we have to say, ‘Thou and Thou alone,’ in order that we may forget the little self and be united with the universal Self. To live the ideal life is our only purpose. The truth of the Upanishads is to be attained. The Truth is, and it must be realized in one’s own Self. Swamiji did that. Of course, the one Truth is perceived in many ways, according to the capacity of the individual. Swamiji surely has not merged himself in eternal union with Brahman. He is an ever-free soul. He will be born again and again to do the work of the Lord. Weak-minded people cannot control their spiritual emotions; their nerves become overstimulated. But those who have a strong body and strong nerves control their emotions. When Swamiji’s spiritual emotions were aroused, outwardly he would be calm. One day, in Madras at the Castle Kernan, Swamiji was singing a hymn to Sri Rama. After a while his gaze became fixed, he went into ecstasy, and tears of joy began to flow. Swamiji was not only a knower of Brahman but he was a great yogi. His spiritual powers were obtained through yoga. Was anyone more perfect than he in meditation? Prejudiced people will listen only to one side of a story. Swamiji had an open mind. He would take every point of view into account. He had a generous and forgiving heart. Sometimes we saw Swamiji doing every detail for himself. But there are others who only talk about such things; they never lift a finger. How difficult it is to recognize the ego and to control it! Swamiji at one time told me: ‘Live the ideal life. The Divine Mother has shown me that by doing so you will accomplish a hundred times more good than I.’ I didn’t believe it. But then in all seriousness I plunged into the Lord’s work and the work succeeded. If I had not associated with great souls like Swamiji and others, what would I have been but perhaps a wandering monk? I would have had some sort of realization, no doubt, but not what I have today. Swamiji gave us a higher ideal than realization for oneself; it is to expand the consciousness until you see yourself in all beings, and all beings in yourself. Swamiji was an example of loyalty to his guru. There was power in Swamiji’s words because his heart and lips were one. He always held firmly to the truth.